This boutique Newcastle hotel offers quirky, 4-star accommodation 2 minutes' walk from Central Station. The Premier Inn Newcastle (Holystone) has free parking, family-friendly rooms and an on-site Brewers Fayre restaurant. Northumberland Park Metro Station is less than a mile away. Some rooms can take 2 adults and up to 2 children (under 16 years). The 2 children also get a free full breakfast when accompanied by an adult eating a full breakfast. The full all-you-can-eat breakfast has the expected cooked items, including vegetarian sausages, as well as a wide continental selection. The hotel is conveniently located adjacent to the major A19 road and is also less than 5 miles from North Shields International Ferry Terminal. The Vermont ApartHotel boasts 11 apartments, including the Dom Perignon Penthouse suite on the Cosmopolitan Newcastle Quayside. Nestled amid 2 acres of beautifully landscaped gardens, this fine Victorian property boasts a peaceful setting in a leafy district of Gateshead, yet within easy reach of Newcastle's vibrant city centre. Retaining many of its original Victorian features, Eslington Villa has been sympathetically restored to provide a range of modern comforts required for a relaxing stay. Each of the 18 rooms has been individually decorated to offer a unique experience, with d�cor reflecting either traditional Victorian styles or contemporary designs. There is plenty to see and do in the surroundings, from strolling along the coast to exploring historic houses and castles. 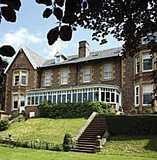 Eslington Villa is also conveniently located for easy access to Newcastle, Gateshead and Durham. With a stay at Malmaison Newcastle in Newcastle-upon-Tyne, you'll be minutes from Quayside and Gateshead Millennium Bridge. Kensington House Aparthotel is a luxurious mix of 23 serviced apartments, conveniently located in Newcastle's leafy and cosmopolitan suburb of Jesmond.Every spacious apartment is individually and imaginatively designed, and furnished to the highest standards with impeccable taste.Newcastle's vibrant city centre is only a stone's throw away and there is easy access to rolling hills and historic coastline, making Kensington House the ideal location for all your needs. In Newcastle's cosmopolitan Jesmond district, Kensington House Aparthotel is just a 3-minute walk from Jesmond Metro Station. The luxury serviced apartments have free parking and free WiFi. Each apartment has stylish decor and modern furniture. All apartments feature a living area with a flat-screen satellite TV including movies and sports, and the luxurious bathroom has free toiletries and a hairdryer. The fitted designer kitchen features a refrigerator, dishwasher and microwave, and there is a bar-style dining area. The aparthotel also offers welcome packs, a 24-hour front desk and laundry service. Kensington House Aparthotel is just 10 minutes' walk from Newcastle city centre. Eldon Square Shopping Centre is within a 20-minute walk, and Newcastle Central Station is 1. The Hilton Newcastle Gateshead Hotel has striking views of the River Tyne and its landmark bridges, the hotel boasts an excellent location on the Gateshead Quays, walking distance from the city centre, Sage Gateshead and Metro Arena. With a stay at Jesmond Dene House Hotel in Newcastle-upon-Tyne (Jesmond), you'll be close to Newcastle-upon-Tyne Civic Centre and Quayside. Winner of several awards including City Hotel of 2013, this grand house boasts stylish interiors and luxury accommodation in a parkland setting, just 5 minutes' drive from the vibrant city centre. With 40 unique individually styled bedrooms, featuring bathroom under-floor heating, bathrobes, The White Company toiletries, and slippers. All of Jesmond Dene House's rooms have flat-screen TVs. Some rooms have an exclusive terrace or garden, perfect for dining al fresco. Guests can enjoy seasonal cuisine made with fresh, local produce at the hotel's award-winning restaurant. The restaurant also includes a bright and airy summer terrace. Jesmond Dene House offers a stylish bar and lounge area, serving a simple, light menu in addition to fresh coffee and a wide selection of wines.